Home : News & Events : News & Events : 2019 Techtextil Raleigh! Exclusive distributor and converter of Technostat® filtration media in North America. In addition to our standard Technostat® product line, we offer a new generation charged media, Technostat® Plus. Among high-efficiency air filtration media, Technostat® Plus leads the way. It achieves aerosol penetration levels as much as 40% lower than standard Technostat® grades at the same basis weight. 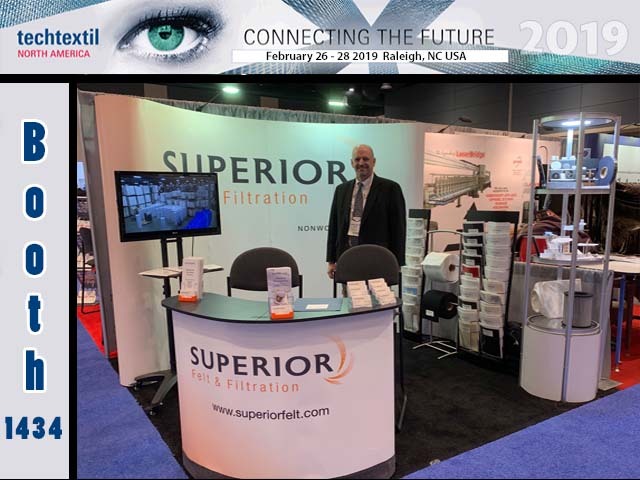 Regional Sales Manager – Larry Peter at the 2019 techtextile show.